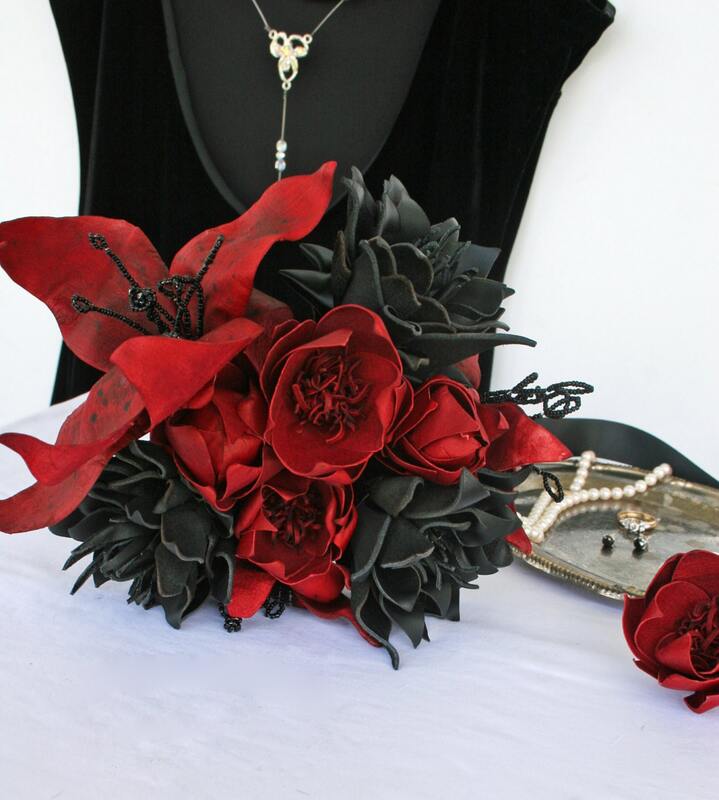 This bouquet is hand dyed, hand sculpted red leather oriental lilies, black leather dahlias, and red leather lotus flowers/water lilies. Measuring approximately 9 inches by 12 inches. 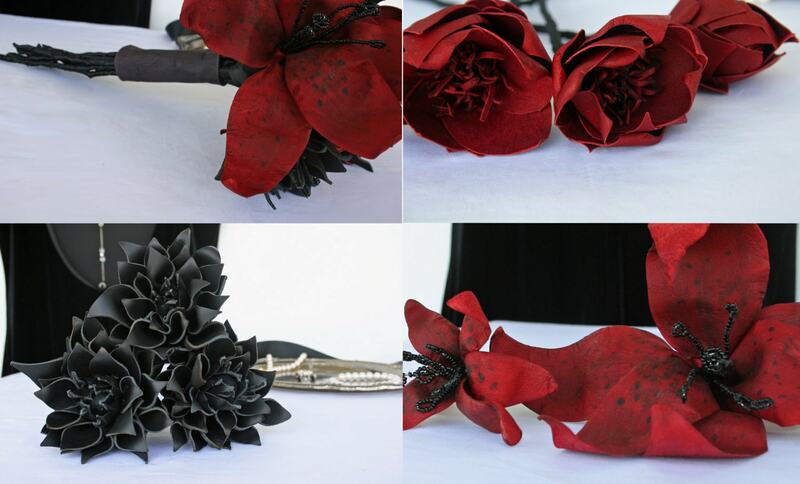 Make sure your wedding is as unique and stunning as you are with a beautiful leather flower bouquet. 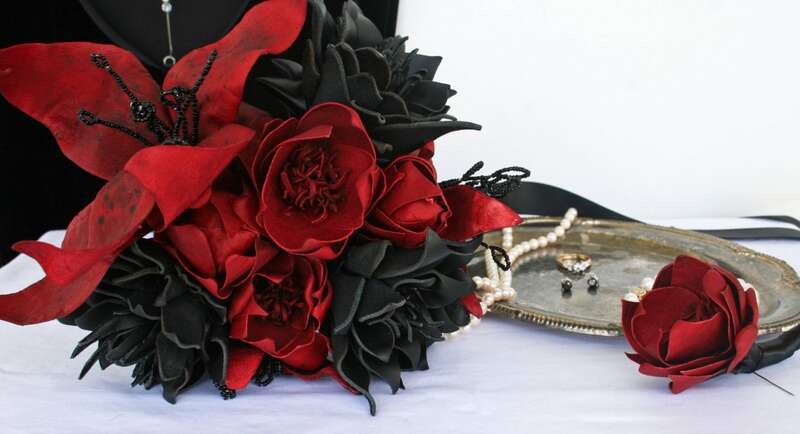 The color choices and flower types are endless. 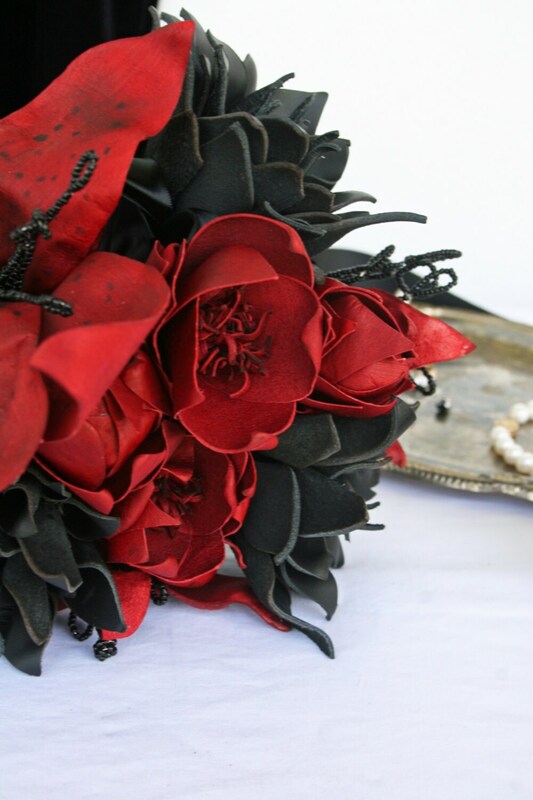 Convo me to discuss options for your special day. 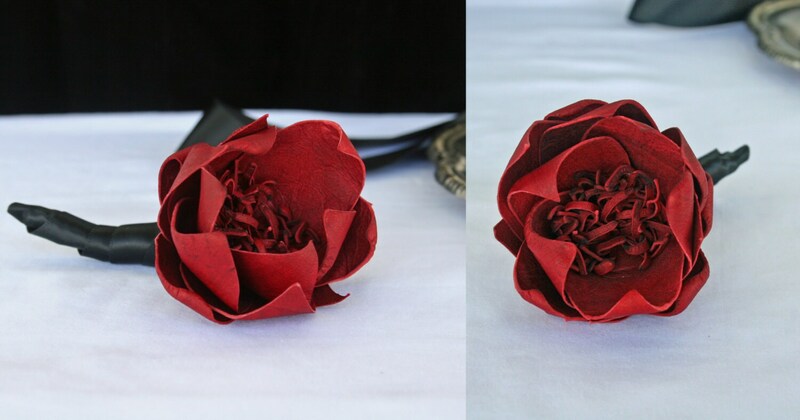 The groom's boutonniere is free with the purchase of a bridal bouquet.